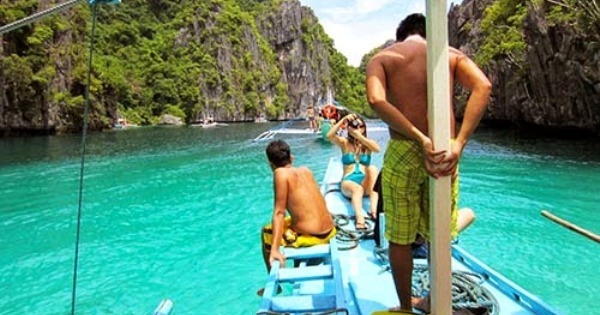 Top 5 Best Places to Go Island Hopping in the Philippines That You Won't Regret! With over 7,000 islands, the Philippines is definitely a perfect destination for island hopping. Go aboard on a new adventure and discover the pristine white sands, crystal clear waters, underwater paradise, breathtaking sights, and so much more that the different islands of the Philippines have to offer. #1 - Palawan: A day is certainly not enough in exploring over 1,700 islands and islets in what's dubbed as the world's best island, Palawan. The virgin islands of El Nido offer not only white sand beaches but also enchanting lagoons and marble cliffs. Farther north from El Nido is another paradise, Coron, which consists of the eastern half of Busuanga Island, the whole Coron Island, among 50 other islets ideal for snorkeling and diving. #2 - Siargao: Even though known as the Surfing Capital of the Philippines, you don't need to be a surfer to really appreciate its beauty. This island in the province of Surigao del Norte also boasts 48 islands and islets that non-surfers would surely love to island-hop. Three of which are the Naked Island, a 200-meter sandbar, Daku Island, an island dotted with countless coconut palm trees, and Guyam Island, an uninhabited little piece of paradise. #3 - Hundred Islands: About 5 hours away from Manila is a cluster of over 123 islands in Alaminos, Pangasinan collectively known as the Hundred Islands National Park. The most visited islands here are the Governor's Island, where a 200-step staircase leads to a panoramic view of the nearby islets, Bat Islands, which obviously has bats, Marcos' Island, where adventure seekers could jump from a 20-foot cliff, and Romulo's Island, which has a white sandy beach. #4 - Camiguin: A relatively small island in Northern Mindanao, this island does not turn out to be any less than other island-hopping destinations. Mantigue Island, a mesmerizing island with powdery-white coral sand, is just less than an hour of a boat ride away from the main island. Then hop to the White Island and the picturesque view of the volcanoes and the sunset awaits. Just don't forget to go there in the morning as it totally submerges at nighttime. #5 - Islas de Gigantes: From Iloilo City, go the extra mile and ride the boat to this island blessed with white sand beaches, sandbars, mystical caves, and mouthwatering seafood. This laidback island, though visited by many, has still maintained its natural touch. Although a visit to its main islands Gigantes Norte and Gigantes Sur already seems enough, island hopping to Cabugao Gamay Island, Bantigue Island, and many other sites makes it more complete.